Being the longest format, Test cricket is considered as 'the purest form of cricket'. Played for 5 gruelling days, it tests each player's temperament and skills at the highest level. Though limited overs cricket has become popular in recent times, Test cricket has never lost its sanctity. "As a Test cricketer, you expect that at times you're going to be heckled, and you must have a thick skin" - Brett Lee. On 14th June 2018, we saw Afghanistan making their test debut against India in Bangalore. Afghanistan is the 12th team to gain the 'Test status' granted by ICC and the 4th team to play their inaugural match against India. Though they didn't fare as they would have expected, it was indeed a historic and proud moment for their country and the sport. As we all witnessed Afghanistan's performance in their inaugural Test, it's time for us to have a look at, how the other 11 Test playing nations fared on their debut in Test cricket. After a long gap of 17 years (Bangladesh, 2000), ICC had granted 'Test status' to Ireland and Afghanistan. Ireland hosted their inaugural Test match against Pakistan in May 2018. The only Test began with Ireland captain Porterfield opting to field first on an overcast day. Off to a scintillating start, Ireland bowlers reduced Pakistan to 159-6 in 52 overs, after which a match-saving partnership of 117 runs flared from the pair of Shadab Khan and Faheem Ashraf. Declaring at 310/9, the Pakistani bowlers rattled the Ireland line-up for a meagre 130. Deciding to enforce the follow-on, Pakistan received a stubborn fight back in the form of Kevin O'Brien. Scoring Ireland's first Test century, Kevin helped Ireland to post a lead of 159 runs in 2nd innings. Chasing 160, Pakistan had a pathetic start to the chase, losing 3 wickets for 14 runs. With the debutant Imam-ul-Haq scoring 74*, Pakistan survived the initial scare to win the match by 5 wickets. Playing their inaugural Test match at home (Dhaka, 2000), the Bangladeshi captain decided to bat first on a dry pitch to take advantage of the conditions. Top-order batsman Aminul Islam blunted the Indian bowling attack with 145 runs off 380 balls. With a mammoth total of 400 on the board, Bangladesh was on the verge of taking a healthy first innings lead. However, the 121-run partnership of Ganguly-Joshi pair and Agarkar's cameo helped India to gain a tiny lead 29 runs. 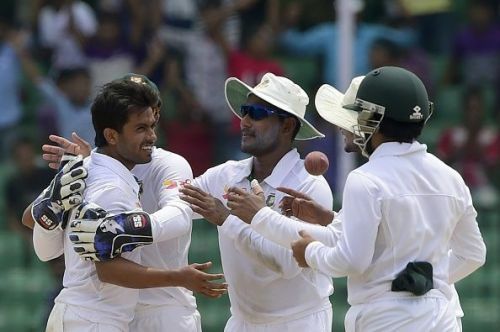 Having the momentum on their side, the Indian pace attack made early inroads to bowl out Bangladesh cheaply for 91. With just 63 runs needed, Dravid guided India to a 9-wicket victory. Sunil Joshi was adjudged as Man of the Match for his all-round performance throughout the match ( 92 runs, 8 wickets). 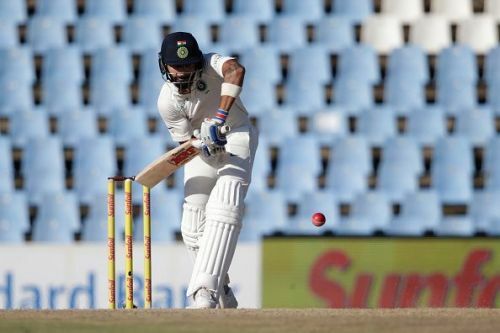 Cricket undid cricket: Why Test Cricket is losing its essence?